We want to bring your attention to this woman, Senator Missy Irvin, and her outlandish legislative activity to the forefront. Let’s look at her past chilling record. Her unconstitutional decisions speak for themselves. Do NOT let her influence your vote! Senator Irvin signed a loyalty oath to support the American Legislative Exchange Council (ALEC) interests FIRST. It was ALEC, its corporate members, and their corrupt politicians who provided Arkansas with the underhanded model legislation for Ballot Issue 1. Irvin and Her Background: Senator Missy Irvin is from Mountain View, Arkansas, in Stone County. Lamentably, she has run unopposed for state senator in Senate District 18 since the 2014 general election… and she may feel untouchable right now, but all hope is not lost: she could still be indicted. Some of her campaign contributions have come from convicted felons. Remember, it is our senators and representatives who pass law at the Arkansas Capitol — law that affects all of us — and the Senate onslaught of bad legislation has been forced on the public, largely unaware. Sadly, most of our politicians are bought off by companies, special interest groups, political action committees (PACs), and lobbying groups, so we must beware of corporate lobbyists and their profiteering politicians in our legislature. Expose the deep state! 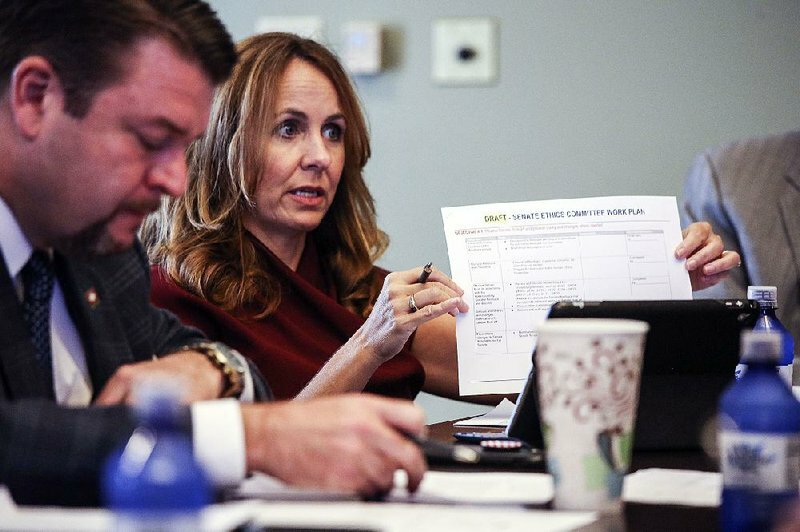 Irvin and ALEC: The corporate-funded American Legislative Exchange Council (ALEC) supports Ballot Issue 1, and it just so happens that Arkansas State Senator Missy Irvin and Arkansas State Representative Jim Dotson are the two ALEC Arkansas State Chairs. Irvin’s Oath to ALEC first – NOT to you: ALEC asks that the legislators raise their right hand and swear: “I will act with care and loyalty and put the interests of the organization first”. That means placing the corporate and special interests above their elected office! Hello?! This is a conflict of interest. One could conclude that the cabal wants their own appointed talking heads: a greedy corporate governance where their supposedly-elected officials put forth their destructive agenda for their bottom line. ALEC corporate members and the tainted state politicians from all 50 states collude periodically throughout the year to work on model legislation which will benefit the corporate members’ bottom line. The legislators then take this model legislation back to their own state and “tweak it” to their state standard process. Yes, behind closed doors, out of state, ALEC hands our elected officials the bills and instructions to change the law for their benefit, NOT for ours! Some of the controversial legislation that troubles us the most always seems to come from the American Legislative Exchange Council (ALEC)! Irvin and her ties: Senator Irvin and ALEC support Ballot Issue 1 which takes away local control for juries and gives the legislature power to control the judiciary. Irvin was the lead sponsor to SJR 8, the bad ALEC legislation that is currently on our November 2018 ballot, now known as Ballot Issue 1. 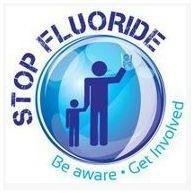 Irvin and fluoride: Senator Irvin and ALEC support the harmful fluoridation mandate for our drinking water. Irvin was paid well for her fluoride “yes” votewhen the calamitous, forced mandate occurred here in Arkansas in 2011. It was sponsored by former Senator David Johnson. (Delta Dental is an ALEC corporate member.) Irvin is now the Co-Chair of Public Health-Senate Health Services AND a member of the Senate Public Health, Welfare, and Labor Committee. Controversially, she serves her masters on the ALEC Health and Human Services Task Force! The public should find this disagreeable! Irvin and limiting FOIA: Senator Irvin and ALEC support limiting our rights to the Arkansas Freedom Of Information Act (FOIA)! BUT the Arkansas Freedom of Information Act (FOIA) is one of the greatest pieces of legislation that has ever been introduced to the public! Arkansas’ Sunshine Law of 1967 is one of the best in the country, but shockingly, in the last 2017 session, there was a total onslaught of offensive bills hurled against us to BLOCK INFORMATION so it could be hidden away from the public, from the media, and even from your own attorney! One of the most dangerous bills that was put forth in the 2017 session was SB 373 sponsored by Sen. Bart Hester. So how did the traitor to all Arkansans, Senator Irvin, vote on SB 373 ? She voted “yes” to limit this transparency right! Rep. Bob Ballinger (ALEC member) worked the House. Notice, most of the senators that voted for the outrageous bill were ALEC members! We definitely need transparency in our government! Irvin and the Con-Con: Senator Irvin and ALEC support a vile Article V Amendment Convention (Constitutional Convention/Con-Con). She voted “yes” to SJR 7, an Article V Amendment Convention! Could ALEC Chair members be bribing members of their committees with campaign donations? Could our campaign contributions be used for purposes other than for which they’re intended? Past Arkansas History: It was this prior beguiling Ballot Issue that amended the Arkansas Constitution to address Term and Ethics issues. The Ballot Issue was voted on November 4, 2014 by the Arkansas voters and the vote was 428,206 “Yes” votes and 388,459 “No” votes. Sadly, the issue passed with a 52.43% because the voters didn’t read the entire wording of the measure that had been deceptively written at the time. SECTION 1. This amendment shall be known and may be cited as “The Arkansas Elected Officials Ethics, Transparency, and Financial Reform Amendment of 2014”. The wretched amendment passed by the voters that past November permitted legislators to serve a total of 16 years in the House or Senate thereby doubling the amount of time a legislator can stay in the Arkansas Senate and House, respectively. Good grief! See, the public thought it was voting in a good thing about financial reform and sound ethics, but this deceptive measure was loaded up with many devilish details. That past measure just gave the corrupt politicians more time to rake in the money and kickbacks from lobbyists, special interest groups, and large corporations in exchange for legislation that benefits their bottom line. Yes, folks! We NEED Term Limits! Support Ballot Issue 3 this November. Irvin and “Ethics”? Senator Missy Irvin is the Chair of the “newly overhauled and created” eight-member Senate Ethics Commission (appointed by the Senate Pro-Tem) supposedly overseeing and investigating the corruption in the General Assembly. She was elected chair by that committee in June 2018. Regretably, Irvin is one the worst abusers in the Arkansas Senate! They are supposedly prohibited from certain activities involving conflicts of interest… but that’s a joke! Remember her ALEC loyalty oath above? “I will act with care and loyalty and put the interests of the organization first”. Again, that means placing the corporate and special interests above their elected office! That’s the exact OPPOSITE of ethical! The bulk of the bipartisan effort focuses on prohibited conduct and conflicts of interest. Senators will have to disclose potential conflicts with their careers outside the capitol to be able to participate as lawmakers. They will also have to submit more detailed financial disclosure statements on a quarterly basis. The leadership was asked if their Republican colleague, Sen. Jeremy Hutchinson, violated these proposed rules. Hutchinson is accused of taking bribes from Rusty Cranford, the former lobbyist that recently pleaded guilty to federal charges. Irvin and Financial Disclosure: Recently, the Senate Ethics Commission rejected a rule that was proposed to disclose income amounts under $1,000, but found it harder to deal with disclosing sources of income of at least $50,000 a year. Read this Sept. 19, 2018 Democrat Gazette article here to see how they are deliberating (manipulating) because they don’t REALLY want there to be transparency, so how can they craft some new ethic rules that Arkansans will buy into that won’t impact them too heavily and disclose too much information to the public? Irvin and Her Financial Supporters: Senator Irvin’s major financial supporters come from the Health Industry. All of these groups support Ballot Issue 1 since it bolsters the bottom line of their financial statements. From 2010 to 2018, Senator Irvin has raised a total $476,904 for her campaign funds. Of that amount, $109,268 came from the Health Industry, and even the Arkansas State Chamber PAC donated $4,700 to her campaign. Irvin and Her Reports: Click here to see one of Senator Irvin’s many Campaign Contribution and Expenditure Reports. Page 8 lists the Arkansas State Chamber donating $1,000 to her, and page 9 lists $2,000 from Milton Cranford. Irvin and Sinister Ties: Remember: Milton or “Rusty” Cranford just recently pleaded guilty to a huge bribery and embezzlement scheme. And on page 14 of Irvin’s report is a $2,000 donation from nursing home owner Michael Morton. Remember that this nursing home owner (Michael Morton) made a campaign donation to Judge Mike Maggio in exchange for the judge reducing a $5.2 million jury verdict to $1 million in a nursing home negligence case. Former Circuit Court Judge Michael Maggio was sentenced to 10 years in federal prison for taking a bribe. He previously pleaded guilty to the charge in hopes of reducing his sentence after admitting he lowered a jury award in a lawsuit in exchange for campaign donations from a nursing home operator, Michael Morton. Michael Morton is a huge political influencer, of the legislators, with his large donations to their campaign funds. Over the last 20 years, Michael S Morton has given $727,736 to 200 different filers. That is an average of about $3,600 in donations to 200 persons per year. Senator Missy Irvin received a $8,000 campaign donation from Michael Morton. Could she have been bought off in exchange for her “YES” support on Ballot Issue 1? Why did Senator Irvin get a free pass and Judge Maggio didn’t? They both received a campaign donation from Michael Morton. In Senator Irvin’s case, she received $8,000! Here’s another news outlet, KTLO, showing the suspicious Randy Zook of the Arkansas Chamber of Commerce giving awards to the politicians at the Mountain Home Chamber of Commerce. They are being rewarded for the legislation the deep state wants put through. Ballot Issue 1 is mentioned here. This is NOT good business legislation, as was being reported. The legislature wants to control our judiciary system folks! Oh my goodness, dear reader. That’s how the deep state works: CONTROL! The Arkansas State Chamber of Commerce has given $607,850 to 473 different filers spanning 20 years. And, probably has given a lot more money and rewards under the table. In closing, help stop this effort by the infamous politicians to remove the very rights that you and your family and loved ones are guaranteed by our Arkansas Constitution and the Arkansas Declaration of Rights. Don’t lose this right! Protect it! A “No” vote keeps the Arkansas Constitution right to a jury trial in place. Juries can decide when we have been wronged, especially in cases of injury or death. Stop the corrupt government mandate on limits that have placed on the November ballot! Your life is precious and worth a lot. Juries need to maintain their own local control. Vote “NO” on Ballot Issue 1 this November 2018. As always, you can find our email articles posted on our website: SecureArkansas.com. The Search box is a handy tool. Example: for more information about FLUORIDE, or any other topic, just type it into the Search box on our website, and click Enter!